Patient B got in touch and came to the Sussex Foot Centre clinic for an opinion regarding pain in the back of his heel. The pain had been present for the last 10 days and had been described as the sensation of a sudden pull and a feeling of a ‘gunshot’ going off in the leg. The patient was only able to walk wearing walking boots and even then the pain came on after only 200 yards. When examining the patient he had a large bulge at the back of the heel where the pain was focal. Ultrasound was used as this is the best imaging modality to assess the back of the leg. MRI is widely regarded as the best imaging technique for looking at damaged soft tissue, but interestingly this isn’t the case when looking at the Achilles’ tendon. 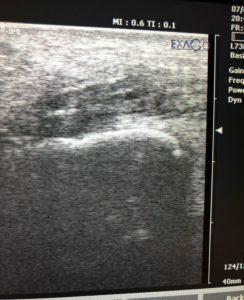 Ultrasound can be used to look at the Achilles when it’s relaxed and when it’s stretched out. It can be used most specifically in this case, for visualisation of where the Achilles’ tendon inserts into the bone. 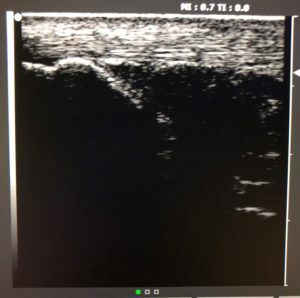 It’s important to see the healthy tendon has good clear straight lines, this is collagen and this is what a tendon should look like as it inserts into the heel bone. This one, however, is what he came with. This is a chronic condition called Achilles insterional calcific tendinitis. 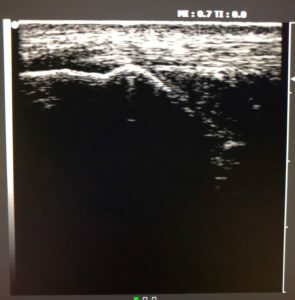 The exact cause is unknown, however, essentially overuse and traction with inflammation on the insertion of the tendon onto the bone is the common cause. 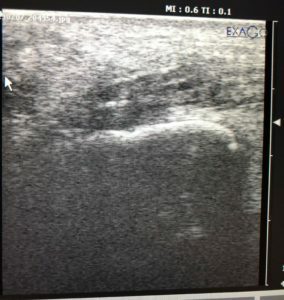 The tendon is intact on the right side albeit there will have been ‘some’ fibres that will have been pulled off. The patient doesn’t want surgery for an Achilles debridement, and doesn’t want to wear a walker boot so I’ve manufactured orthotics for both shoes to take the strain off the Achilles’ tendon and prevent it from pulling where the Achilles inserts into the heel bone. I have reviewed this pain already after a week and it feels significantly better. It’s a chronic condition that will be managed and we will get the patient back to exercise in 6 weeks, but only with the strain off the heel. I will be adding updates to this case study as they happen, so check back in with us soon! 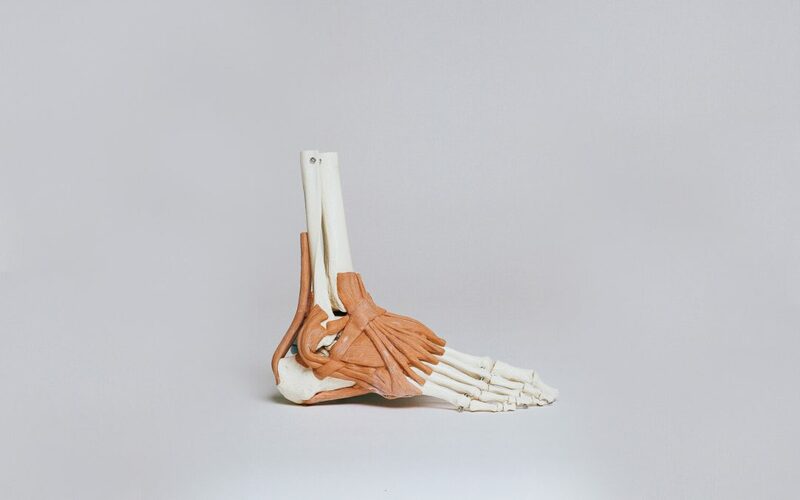 If you are suffering from foot, heel or lower limb pain, get in touch with one of our experts on 01444 453874.